Norpalla is the PUP that uses misleading techniques to prevent removal. Use Reimage to locate malicious components and get rid of them faster than with uninstall instructions. A full system scan blocks virus reappearance and prevents traffic to malicious domains. How can Norpalla hijack my computer? How to remove Norpalla from my computer? Norpalla is an ad-supported plug-in, which was developed by a well-known company called SuperWeb LLC. This company has already released tens of similar creations that all seek the only thing – to drive traffic to related sites and increase their web traffic or sales. 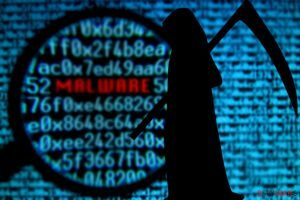 Although Norpalla is not labeled as a virus, many reliable anti-virus programs are detecting this program as a potential threat. If Norpalla hijacks your browser, you will probably experience annoying advertisements. They are typically displayed no matter if you want to see them or not. Furthermore, Norpalla virus may act as a tracking cookie. In other words, it may track your browsing habits in order to use this information for targeted advertising. If you are experiencing Norpalla redirects, noticing ads that are labeled as Ads by Norpalla, Brought to you by Norpalla, Powered by Norpalla, Norpalla Deals, etc., ignore these commercial messages and remove this useless plug-in from your computer. Norpalla is often promoted as a helpful tool for online shoppers. Allegedly, this program should display information about coupons and discounts for people who want to save some money. Although this sounds like a great deal, we strongly recommend avoiding this potentially unwanted program because it can hardly deliver what it promises. In fact, you may be flooded by tons of irritating and irrelevant advertisements. In addition to that, free programs are also be a cause of Norpalla's infiltration. If you want to avoid this adware, you should avoid free programs from unsafe websites. You should also avoid updates from questionable websites and always read terms of agreement before any doubtful installation. In addition to this, avoid clicking the next button all the time, because you may overlook Norpalla and install it unwillingly. Please select Advanced or Custom installation and follow the entire installation process step by step. When in the Add/Remove Programs/Uninstall a Program, look for recently installed/unfamiliar applications, such as Norpalla and similar unknown entries. This entry was posted on 2014-04-17 at 03:53 and is filed under Adware, Viruses. You can quickly scan the QR code with your mobile device and have Norpalla virus manual removal instructions right in your pocket. How did you remove Norpalla virus?